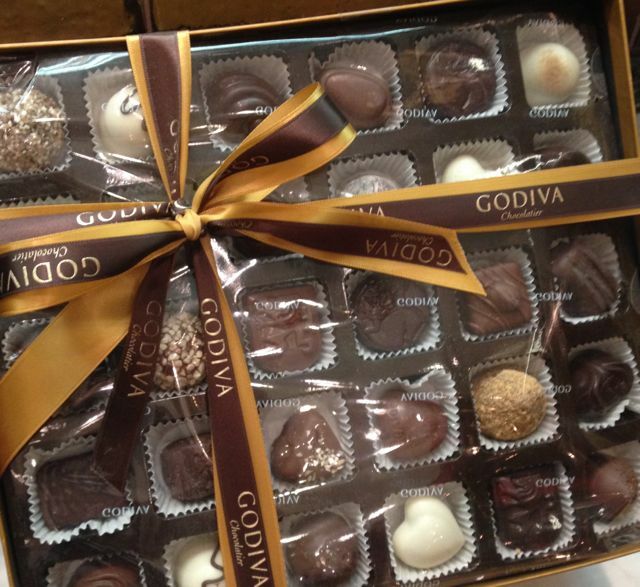 Godiva is a luxury chocolate brand, with the legend of Lady Godiva and her passion within their own chocolates. I was invited to the launch night for their new Xmas range within their Regent Street store in London and having walked past the shop front just an hour before the event, it had been impressively turned into a luxury Grotto very quickly. In fact, chatting to one of the team during this luxurious chocolate tasting event, she mentioned that the shop would be restored to its Autumnal look for the next day, so this really was a very Clandestine peek into their new Christmas collection – what an honour! On entering this small, but deliciously fragrant shop, I was greeted by a very smiley gentleman once I’d passed the bouncer on the door (this was a posh chocolatiers indeed) and he produced a glass of bubbly and a tray of whiskey-filled truffles – I had only just arrived and this man was trying to get me tipsy! I was advised to bite it in one go, as it was literally full of a sweet whiskey liqueur and dainty bites may have resulted in dribbling down my dress…it was literally like downing a shot, it had quite the kick to it. I don’t usually go for boozy chocolates, however I did swipe a second truffle when the tray passed me again a short while later, they were really rather addictive. 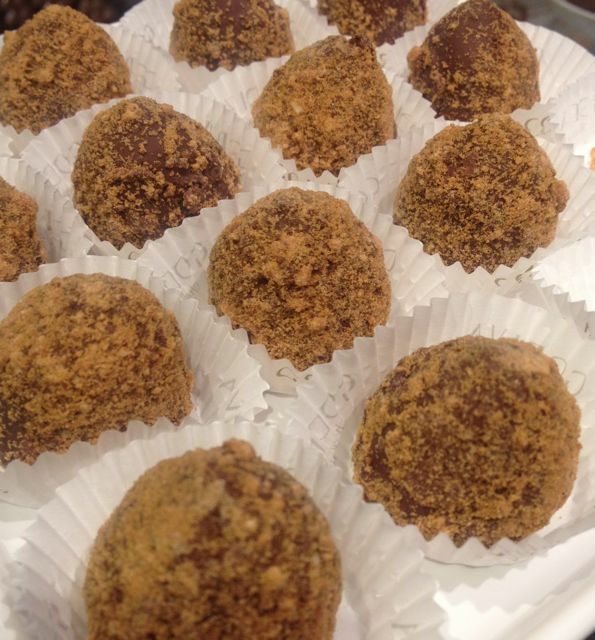 The handmade chocolates and truffles on offer were stunning, both to look at and to taste, like no chocolate I’ve tried before, these are something extra special. 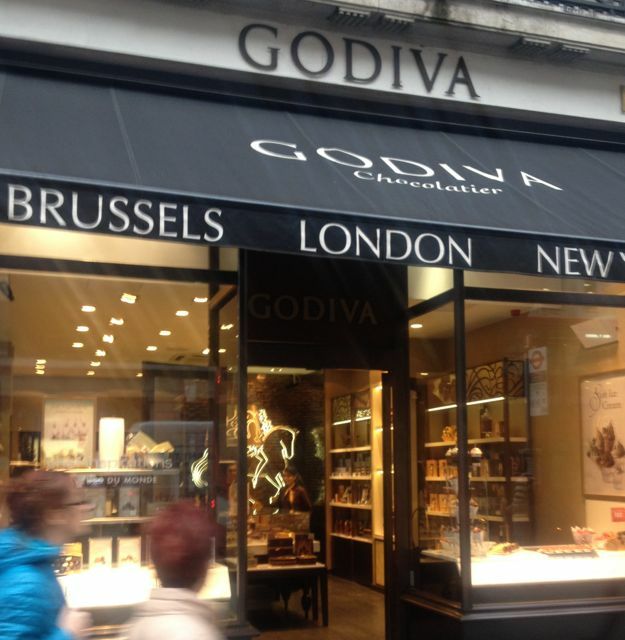 The story behind Godiva is fascinating and (if it interests you) I would urge you to read it here. Godiva also offer fresh strawberries dipped in white chocolate and for Christmas they will be offering them as miniature “Santa hats” to keep them seasonal. 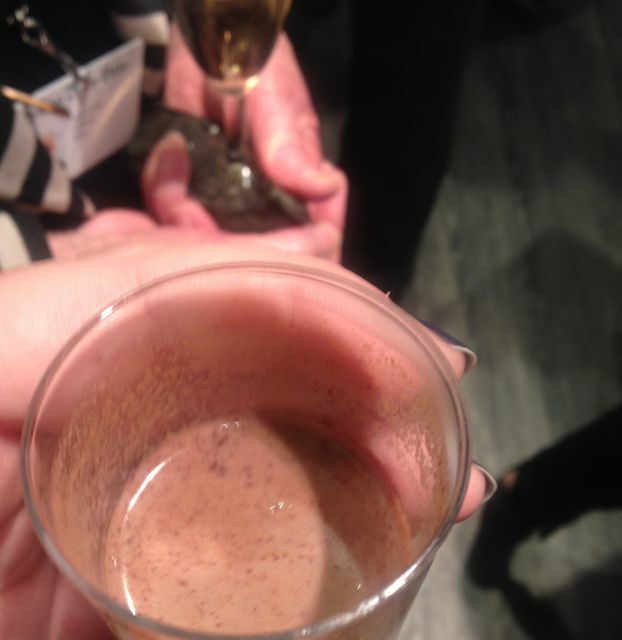 The fresh fruit mixed with chocolate was a refreshing palate cleanser between nibbles on delicately rolled truffles and shots of dreamy, thick hot chocolate. 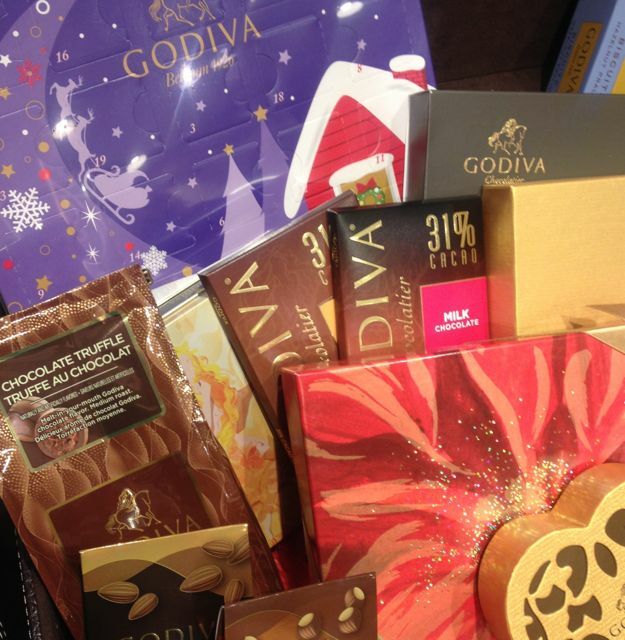 Godiva have a beautiful advent calendar on offer for those of us looking for a sophisticated Christmas countdown, heart shaped chocolate truffle biscuits perfect for any afternoon tea lover and beautifully packaged truffle collections such as the golden Christmas pouch. They are the perfect gift solution for the tricky to buy for chocolate-lover on your Christmas list… if you aren’t tempted by them yourself first – ahem! What’s on your Xmas list this year? 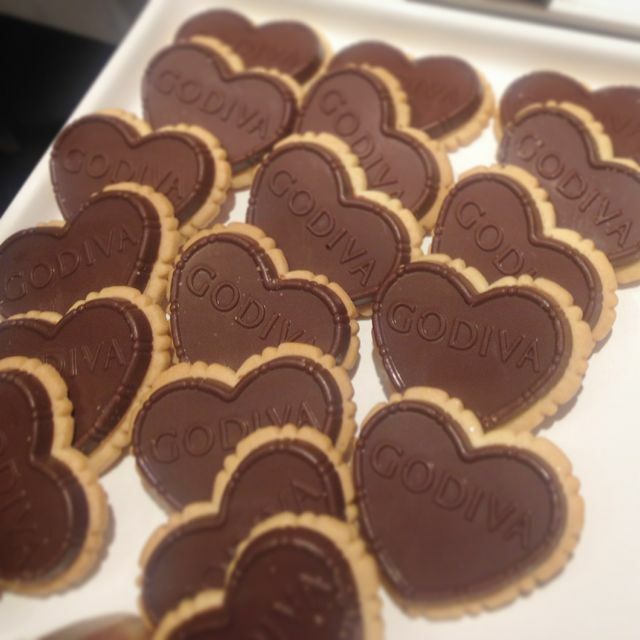 Have you tried any of the Godiva chocolate range or their full afternoon tea at Harrods? I’d love to hear your thoughts below! For my full photo album from this event, please click here.